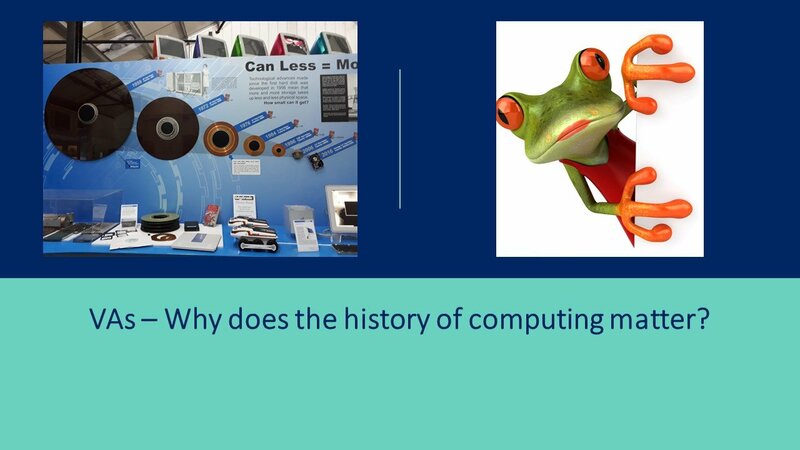 VAs – Why does the history of computing matter? A different kind of post today. Last Sunday we had a day out with our son and daughter in law and their 19-month-old. We went to Cambridge for the day. It was a really fun day out. We went first to the Centre for Computing History. Now if there is a mention of computers there I am! Amazing really as most of the things that we saw were invented after I was at school! Therein lies the point of this post. So much progress in what is a very short space of time. We found the museum in the back of an industrial estate and from outside it did not look like much. However, once inside, it was a treasure trove of history and some old and some newer machines. When you enter you are greeting by the sight of the largest Micro Processor currently in existence. We were assured that it has been checked and verified as the largest one. It is used to demonstrate to school parties who visit how the Micro Processor works. As you can see from the photo it spans several large boards! My son on the other hand had great fun recognising the machines in this room. I was much more fascinated by the history on the walls. There were snippets of information wherever you went. I do remember having our first home computer with a huge monitor and two floppy disc drives – no such thing as a CD drive never mind a DVD! 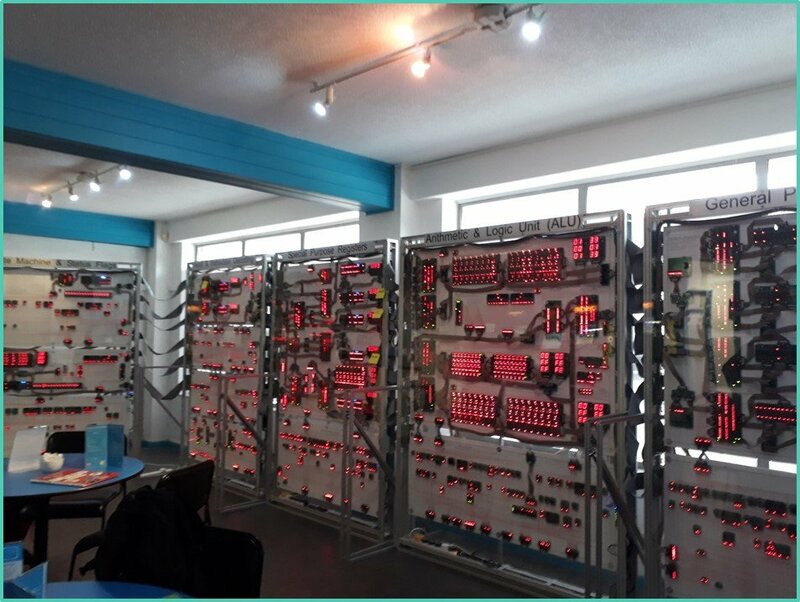 We then headed into the larger room which was choca-block with the history and evolution of computing. 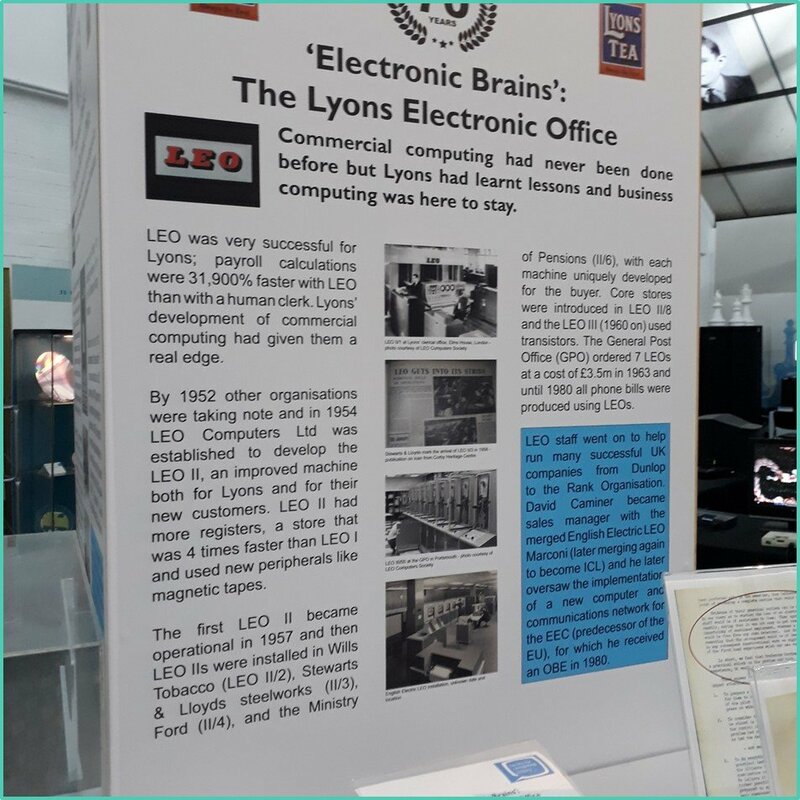 We saw the first payroll system, developed by Lyons Tea House! They needed to solve the problem of the sheer volume of transactions that had to be recorded, from suppliers to payroll to costing. They eventually set up the LEO system which was in use up to 1980! It cut the amount of processing time by 0000% and was able to run the payroll too! The most amazing thing for me was the amount of progress made in a relatively short space of time. From the invention of computing and the realisation of how it would enable, to the development of the current systems is not long at all. 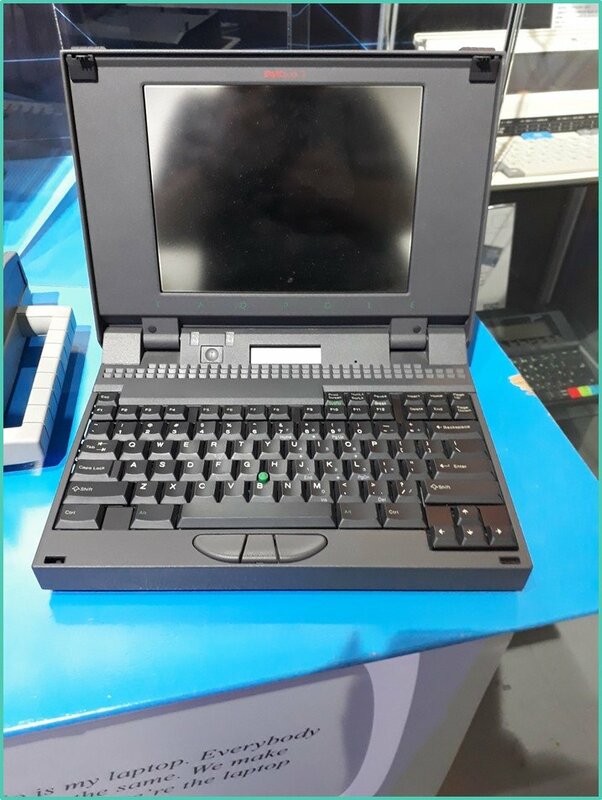 The first portable computers – what we call laptops – were very heavy and not that portable but if you were a roving reporter for a magazine or newspaper they were very useful for writing your copy. Although the internet as we know it was not yet quite in use. 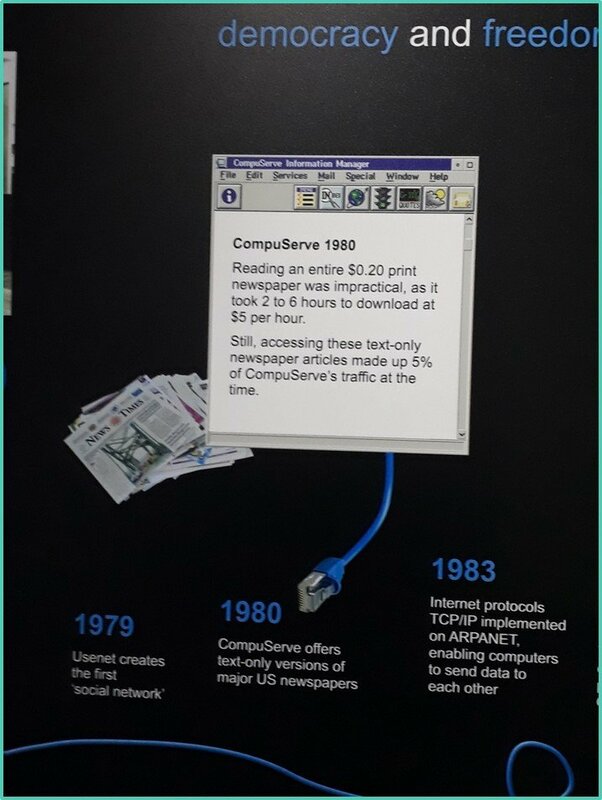 I was very excited when I saw the picture of the CompuServe screen. We got a subscription to CompuServe in the early 90s but I discovered it had been around since the 1980. It was a dial up system that used the telephone line and the charges were for the service and the telephone and it was expensive and not too speedy, nothing like the speeds of today. 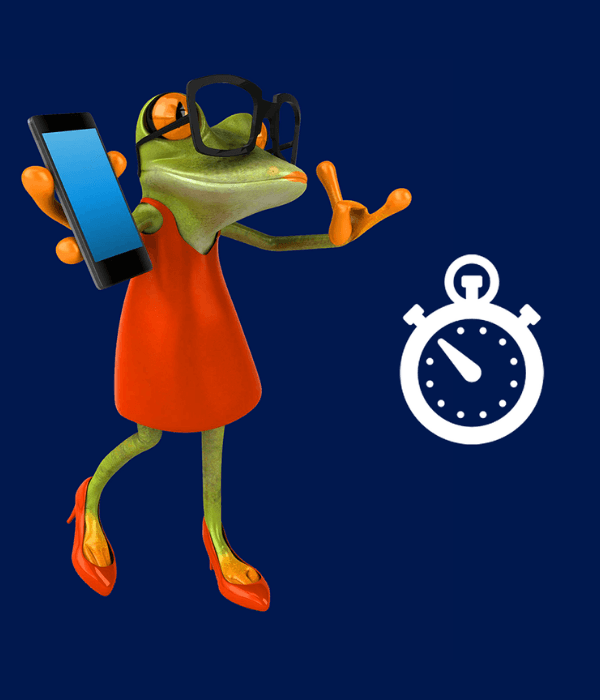 It was so expensive that we rationed the use and logged in to email just twice a day! Imagine that now. 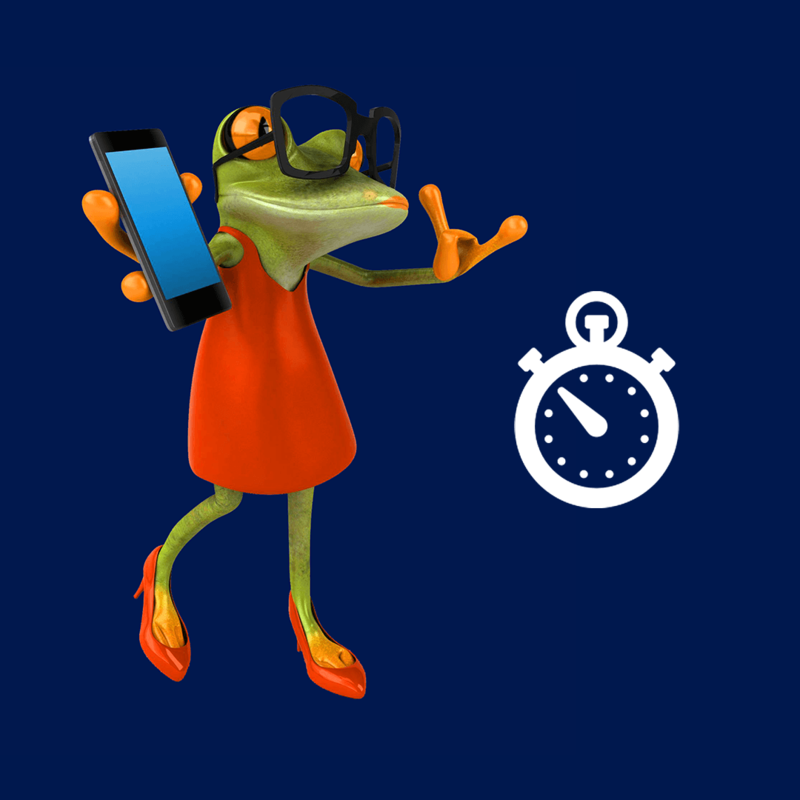 Just checking email twice a day, however you can be so much more productive without those outside distractions. The workplace was a very different thing and you really had to GO to work. Literally out the door and to an office. Even if you had a computer there, it was so large that it was fixed in place. In fact my husband who is an accountant was very excited to see a version of the first computer that he had in his office. It was a full-sized desk. The keyboard built in to the table top and the monitor above. It ran the payroll and was controlled by punch cards or tape. What does this have to do with VAs? 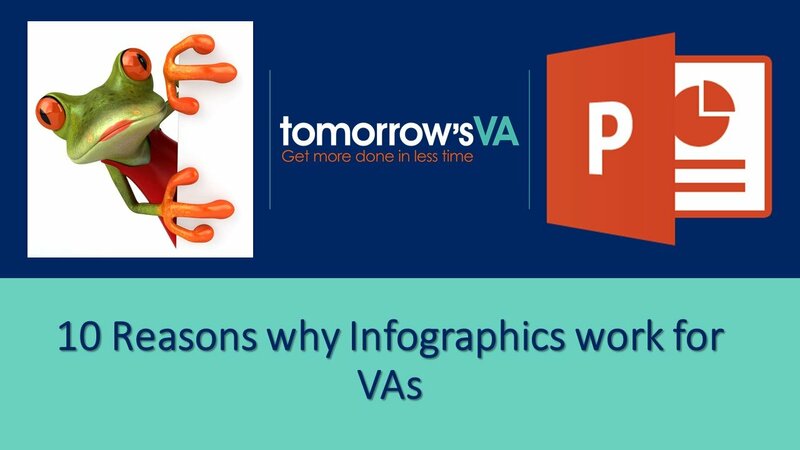 If you have read this far, you may be wondering what on earth all this has to do with a VA? Well it got me thinking. Seeing how the workplace has evolved. 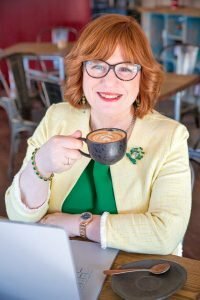 The tools we now have – the computers, laptops, printers – the idea that we are no longer tied to an office – going to work can now mean the kitchen table or a home office as well as actually going to an office. The role of the VA was unthought of although in the tailoring industry you had seamstresses who would do piece work and be paid according to how many items they produced. I am sure this kind of work existed in other industries too. However, Office work always had to be done in the office! We are so fortunate these days to have access to the coolest computer set up (getting cooler all the time) and the true portability of our work. Work from your kitchen or dining room, your home office, someone else’s office or even the beach. The ability to work from home at a time to suit us or our clients. You can work for a client on the other side of the world and they can leave work for you to do at the end of their day, you do it whilst they are in bed and they can wake to completed tasks. Or you can work around your children or elderly relative and your care responsibilities fitting in the work when it suits – making sure that your clients are always supported. What kind of work would you have been doing? 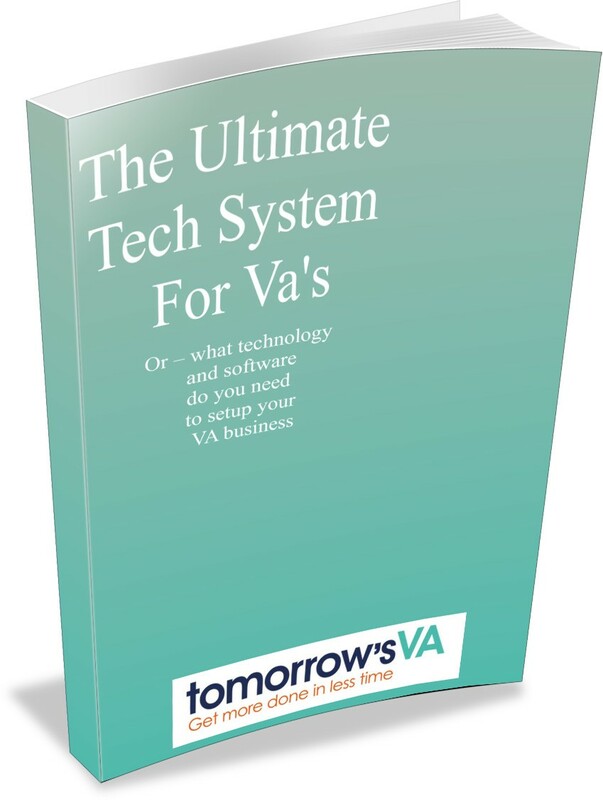 If the opportunity to be a VA was not available to you – what would you be doing now? How would you be working? Would you be slogging away by bus, train, car, tube to get to an office? Would you be resigned to staying home and bringing up your children with less disposable income? Let me know in the comments what you would be doing – it is an interesting thought. 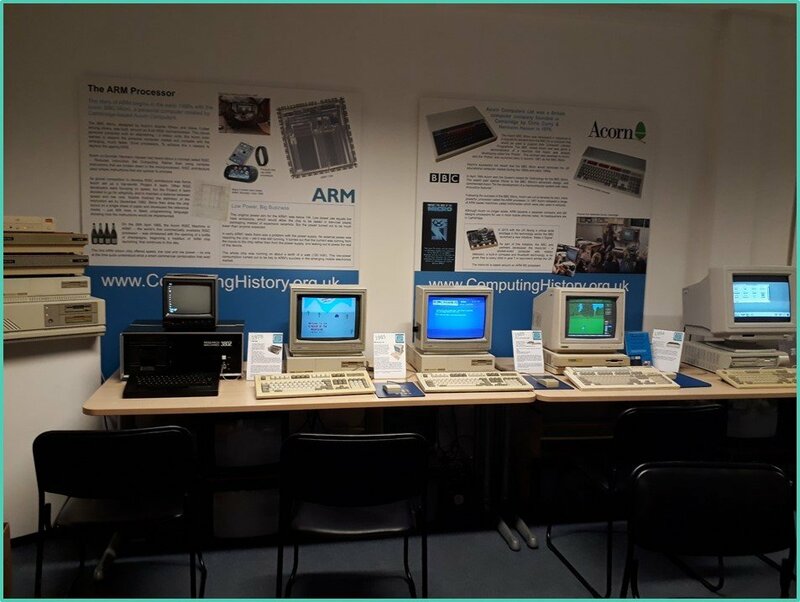 Oh – and if you fancy a great few hours of hands on education – do visit The Centre for Computing History in Cambridge! ← Previous Post Do you have a business process? Next Post → What do you do to improve your skills and your business? You’ve made me realise how lucky I am AND how old I am! seriously though, this sounds like a great place, i must go. I remember the 80’s classroom! I did GCSE in Computer Studies many moons ago, part of the exam was correctly identifying those punchcards they used to use! Isn’t it mad how much things have evolved since then, it’s not that long ago really and look at the evolution of technology! I love how obviously excited you are about all this, fascinating post!